Plastering walls is an important process when you plan out home remodeling, improvement activities or small alterations. We commonly depend on hired contractors to take care of this procedure, but when starting with small changes, doesn’t it sound like an interesting activity for you to take up? Maybe. Maybe not! If you are looking to take up a small project where you want to experiment with changes and try your hand at something new, it’s a maybe. If you are redoing your home and think you can take up plastering on your own then maybe not. Think of this as a DIY plastering guide where you can learn on the go what really works for you! If you have never done this before, be warned that plastering walls is tough physical work. You need to be armed and ready, mentally and physically before your start. Plastering 101 begins with knowing your materials. There are different types of plasters and each is used according to the overall construction requirement. During the process of plastering, the plaster material you choose from the above is spread over the surface of an irregular or coarse textured wall, column or ceiling to provide a smooth, textured, hard and leveled finish which can be easily painted over. 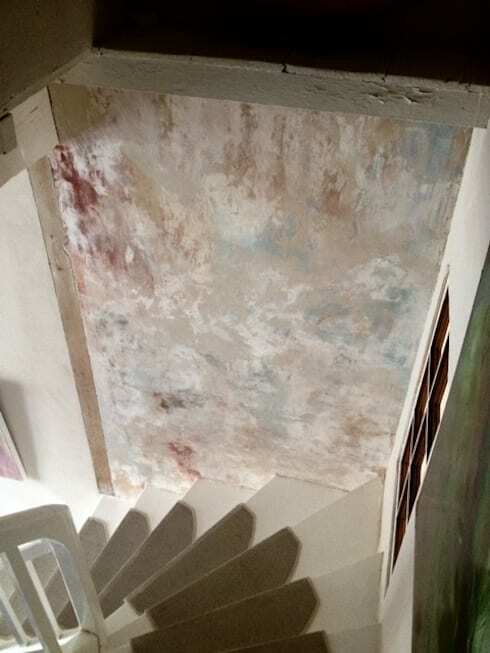 As you may have seen from the above types of plasters, a slight variation in the ratio of cement and sand can change the texture and finish from the plaster. 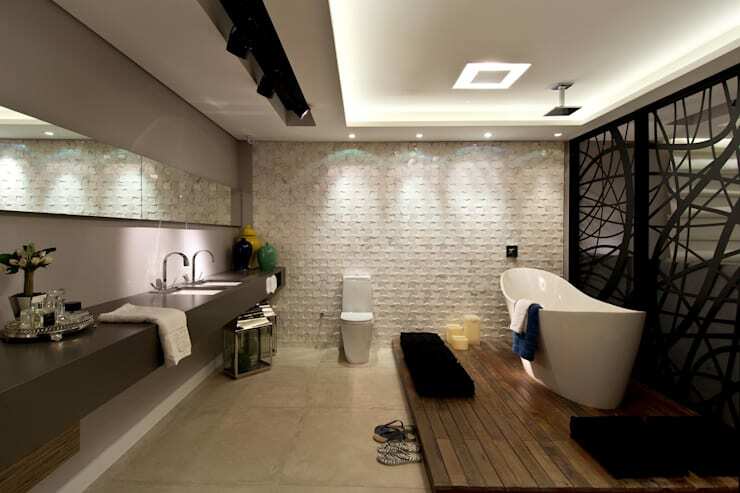 This gorgeous room was put together by Lomianki-based bathroom designers MyBath. Use a common plastering guide to prepare your surface and your room. If your room has furniture, make sure you cover everything with dust sheets. Next, line up all the tools. Your list should include a good quality plastering trowel, a hawk, a paddle accessory power drill to quickly mix the plaster, a bucket, an angle beading, a bigger mixing bucket, paintbrush, multi-finish plasters, scrim tape, lump hammer, cold chisel, dust sheets, water and cleaning material. Start removing the old plaster. You can use the angle beads to get around tricky corners. Constantly wet the wall or you’ll find the room fills up with dust which can be a hazard. Don’t touch any of the gas or electrical installations without contacting an expert. 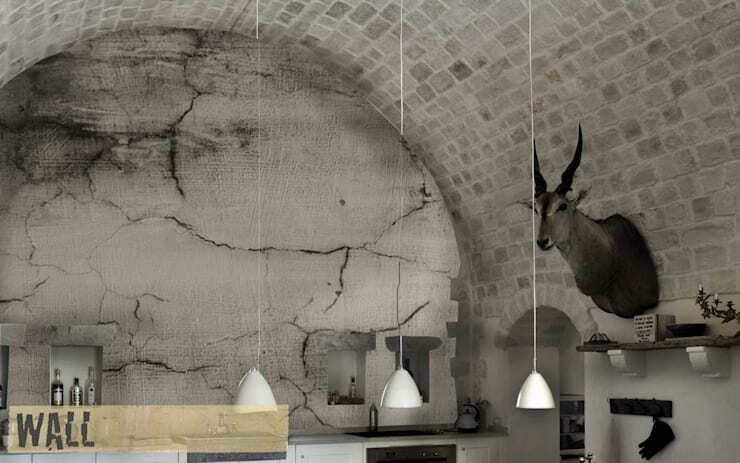 The type of plaster you choose will determine the finish you get. Most plaster bags come with mixing ratio instruction which you need to follow to the T. Always add plaster to the water and not the other way round and use a clean bucket for every mix. Mixing plaster is hard work and requires patience to get the right consistency without the lumps. Using a power drill can help you save time and effort. Time really is of high importance because as soon as you make the mix it will start drying and even more when it gets out of the bucket onto the walls, so act quickly. Start by working with only small amount of mix at a time. To know how to plaster right is quite an art in itself, requiring a skilled flick of the wrist to get it onto the wall and then smoothen it up. You’ll need two coats to get a smooth finish but you can minimize this if you do the plastering on a brand new gyproc plasterboard wall or a drywall. You need to scoop up the mix of plaster off your hawk using a trowel and flick it onto the wall. If you mix is too wet, it may slide off so adjust the consistency before you do the entire wall. Then starting at the bottom of the wall, use your trowel to distribute it evenly over the area. Allow your first coat to dry fully. Different types of plasters take different times, and the local weather conditions also plays their part. If the weather is too hot and the plaster dries too quickly, it may leave cracks as it shrinks. It’ll be good to keep a couple of fans to even out the drying time. Before your start with the decorative plaster, rid your work area of rubble and dirt and clean your buckets too. 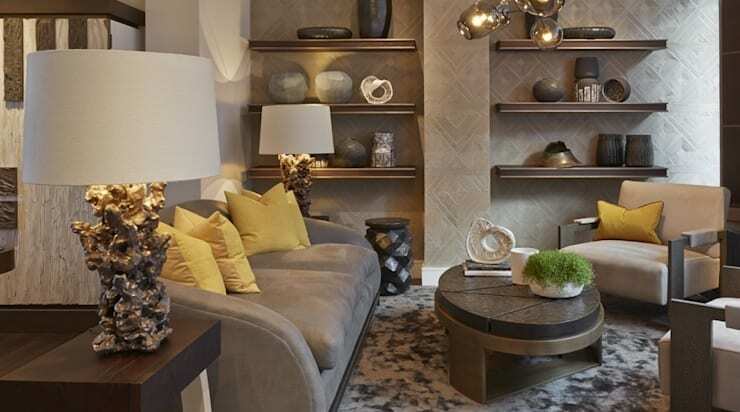 The main thing to keep in mind while applying decorative plaster is that you’ll need to work much more to get a smooth, quality, flat finish look. So get rid of any lumps, fill up the missing areas and keep smoothing the surface until you are satisfied. It’ll take a little time to get set and then start the polishing process. And that’s that. You are almost on the finish line. With a couple of coats of paint, you should have a brand new finish to show off! Topping the most common plastering mistakes is being ill-prepared for the task at hand. The other common mistake for novices is getting on the task without a backup. In case something goes wrong, you need to find someone to quickly guide you. Not getting the mix right is another of the most common mistakes as it's your first time and you don’t have a full grip on what the consistency should be. To avoid all this, we suggest you act as a 'supporting hand' in at least one plastering project before you get started on your own. Happy plastering! 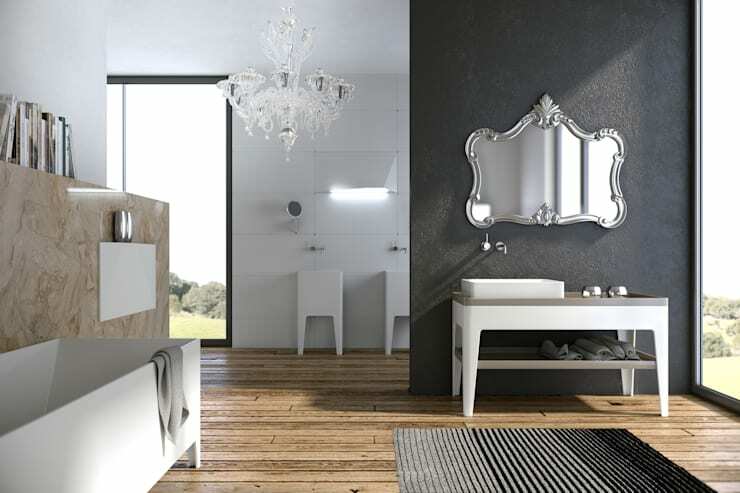 For more tips on how to spruce up those walls, have a read of homify's Unique ideas for decorating with mirrors. 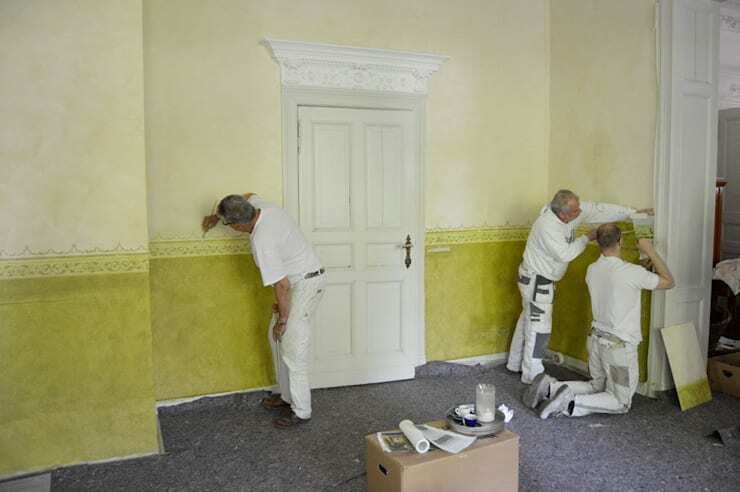 Do you have any plastering tips for us? Share your expertise with our readers!